Welcome to Charlotte’s Web Store Online !! Charlotte’s Web is located in a small mall at 137 Epping Road (Route 27), Exeter, New Hampshire, just a short half mile from Exit 9 off Route 101. We are open from 9 a.m. to 5:30 p.m. Monday through Friday. On Saturdays we are open from 9 a.m. to 3:30 p.m. On Sundays we’re home knitting! Charlotte’s Web is one of the largest specialty yarn shops in the New England area. The shop was founded over 40 years ago by Charlotte Sudduth of Exeter, thus the name. Before opening the shop she received permission from E.B. White to name the shop Charlotte’s Web. Pat Gates, the third owner, bought the shop 26 years ago. Since then every day has been a new adventure for her and she loves it. She is assisted by Michelle LeFave, who is a welcome addition to the store. Her personality and knowledge of yarns and knitting are helpful and impressive. We carry yarns from many manufacturers/distributors. 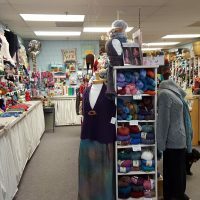 Some of the companies include Knitting Fever, Euro Yarns, Trendsetter, Plymouth, Louisa Harding, Debbie Bliss, Noro, Ella Rae, Great Adirondack, Katia and many more. 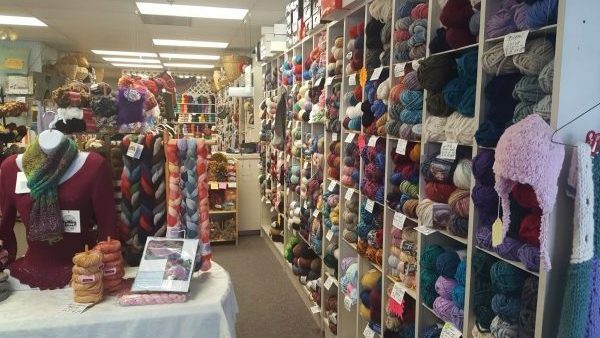 In a store as large as ours and having been in business for so many years, there are sometimes some skeins that have either not sold or have been lost in the stockroom for whatever reason. If you need a skein or two – or sometimes more – please e-mail us with your request. We can’t promise that we still have it, but hopefully we’ll be able to help you. If the yarn you’re hoping for is on sale we will gladly extend the sale price to you. We use UPS for our shipping. We also ship by U.S. Mail if it is less expense to do so.